Dr. Rozenn has practiced Integrative Medicine for almost 20 years. She is a Doctor of Acupuncture and Oriental Medicine with a dual specialization in Women’s Health and Pain Management and a fellow of the American Board of Oriental Reproductive Medicine (ABORM.org). She teaches Masters and Doctoral students from various universities on how to treat Women’s health, in addition to male and female fertility issues. Dr. Rozenn is working on the second edition of her book, Your Fertility Program, aimed to assist people to navigate the confusing field of infertility. You may remember her from our first interview together back in Episode 41. Dr. Rozenn maintains a private practice in Santa Cruz, California where she provides specialized Integrative Medicine care including acupuncture and herbal therapy, diet and lifestyle counseling, and Western and Eastern diagnostic tests to men and women wishing to become parents. 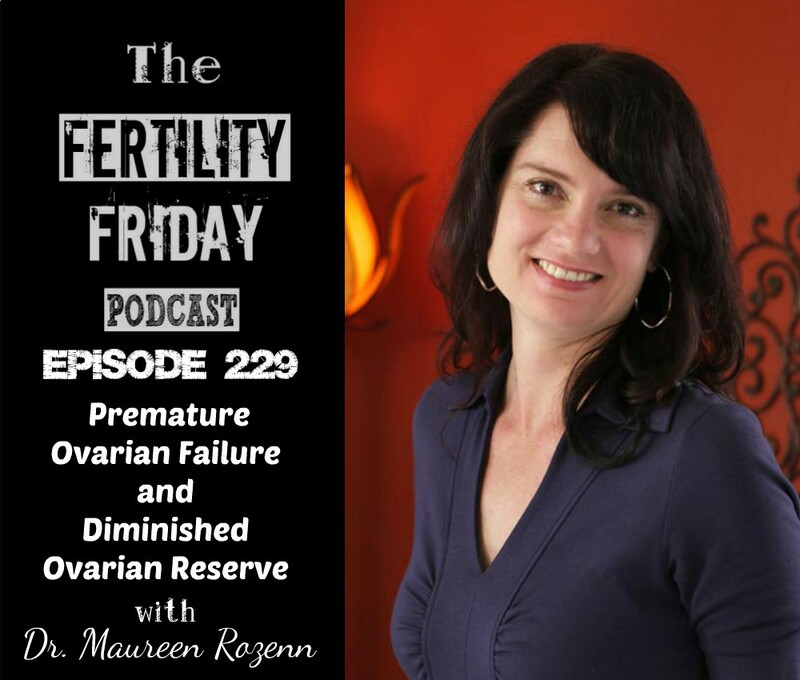 In today’s episode, we talk about Premature Ovarian Failure (POF) and Diminished Ovarian Reserve (DOR), and why, other than IVF with an egg donor, Western medicine has few options to offer. Today’s episode is also sponsored by my Fertility Awareness Programs. My Fertility Awareness Programs are designed to help you to master Fertility Awareness and take a deep dive into your cycles. Gain confidence charting your cycles, and gain deep insights into the connection between your health, your fertility, and your cycles. Click here for more information! What is resistant ovarian syndrome? How long does it take to improve egg quality in women? Why Dr. Rozenn recommends that you reduce your sugar consumption! You can connect with Maureen on Facebook, Twitter and on her website.